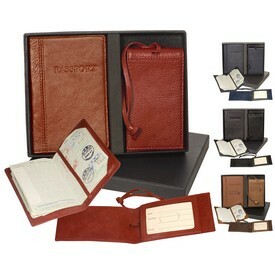 Travelers around the world carry their essentials and expensive belongings whenever and wherever they travel. 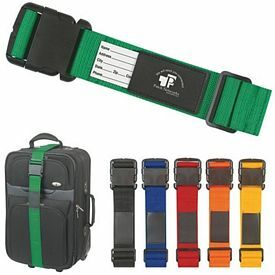 There have been numerous occasions when people have lost their luggage and bags while flying. 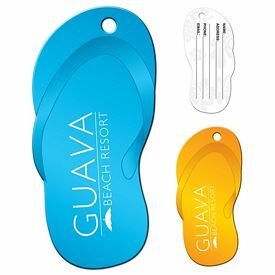 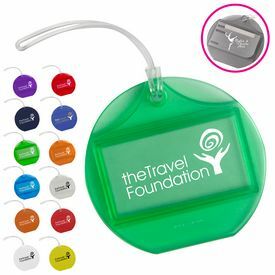 Travel bag accessories, like promotional luggage tags, are small and useful items that ensure that owners of the misplaced items can be tracked down. 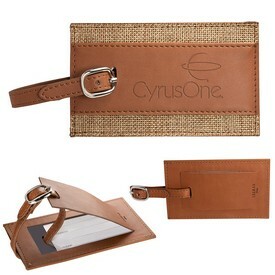 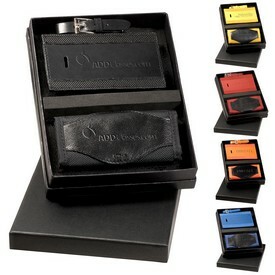 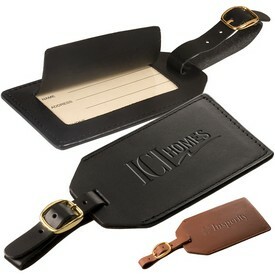 Logo luggage tags are a very popular way to promote one’s business. 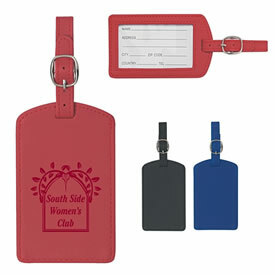 With our customized luggage tags, your company name and information will constantly be in the limelight. 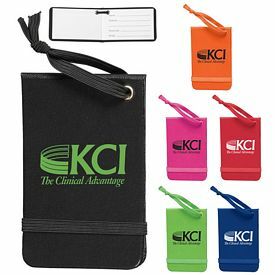 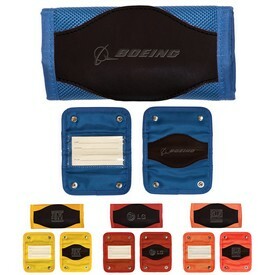 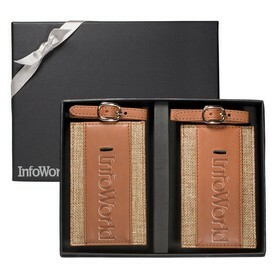 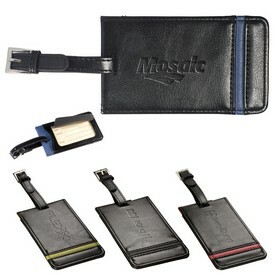 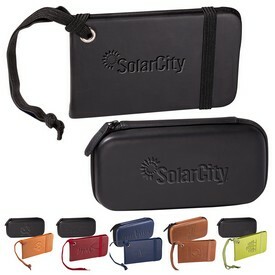 Your customers will never throw away these branded luggage tags which is why these promotional products are so great. 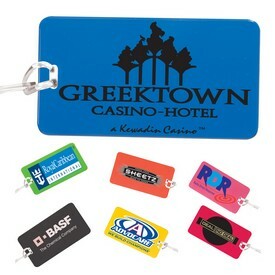 So make sure all of your tradeshows and events are complete with these custom luggage tags. 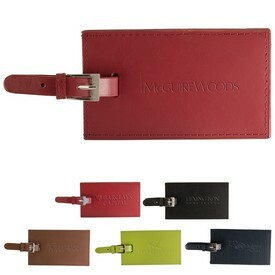 Our high-quality promo luggage tags are able to resist external wear and tear nicely. 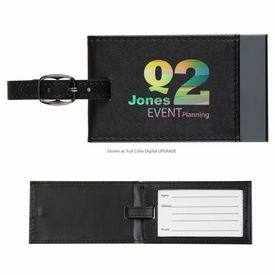 The printing on the logoed luggage tags does not fade easily and the information you wish to provide will always be there. 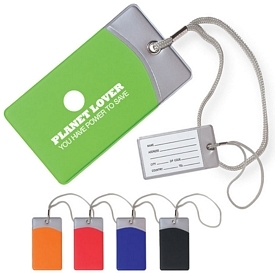 Promotional luggage tags will also make your customer's bags stand out from the rest. 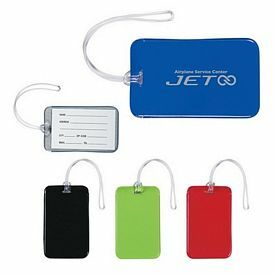 Customized luggage tags will allow them to spot their luggage easily at the airport luggage counter or identify them from a distance. 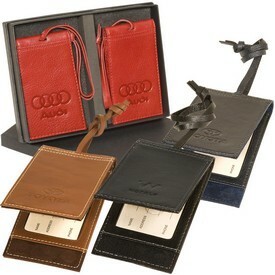 Nowadays, logo bag tags have become an accessory for daily use. 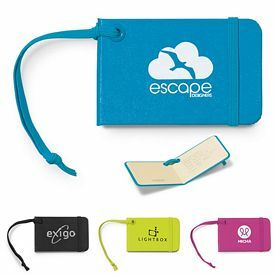 People carrying backpacks, sports bags, and laptop bags can also personalize their items by attaching the branded luggage tags to it. 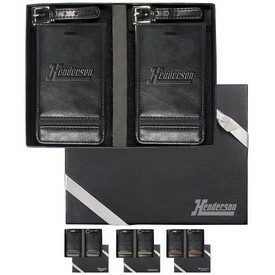 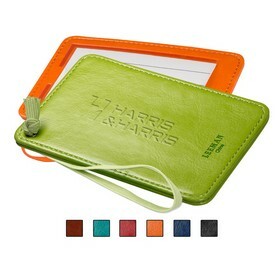 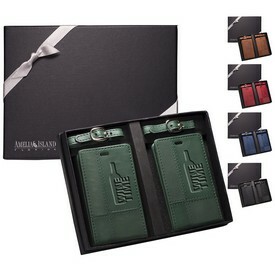 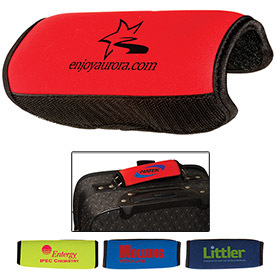 The onlookers will also appreciate your company for the useful nature of your promotional gift. 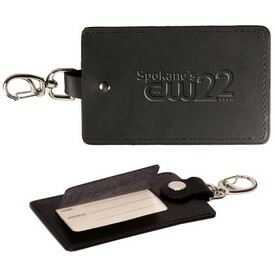 Customized luggage tags are an easy way to get your brand image developed and are sure to get your company noticed. 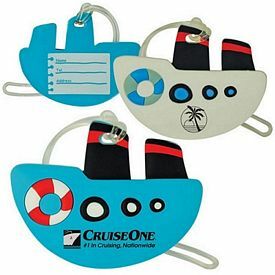 Promotional luggage tags, with no setup fees, are affordable advertising products that are very durably made. 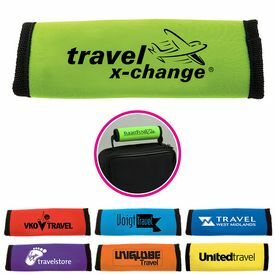 The latest trends and the increased number of people who travel has created the perfect opportunity to advertise your company through promotional luggage tags. 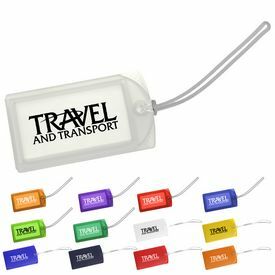 Old luggage stickers have become obsolete and people have started using promo luggage tags to secure their belongings. 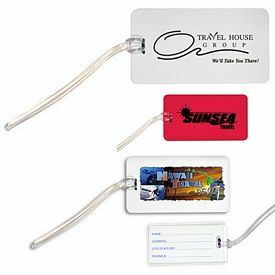 Your customized luggage tags will stay in circulation for a long time and will ensure that your company’s name gets noticed. 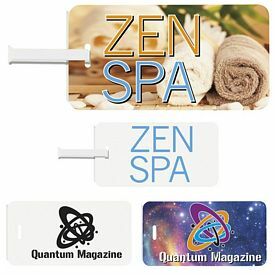 We offer promotional bag tags in a wide range of materials, colors and designs that are sure to please your customers. 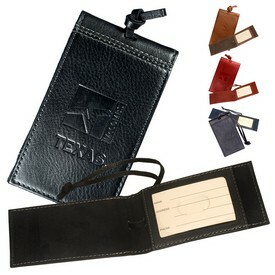 The promotional Cutter and Buck American Tags are made up of leather that suits the taste of the elite. 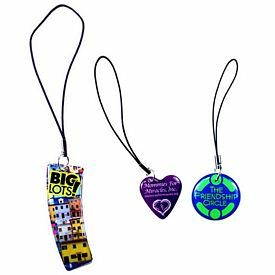 The brushed aluminum and silver finished tags appeal to all kinds of customers. 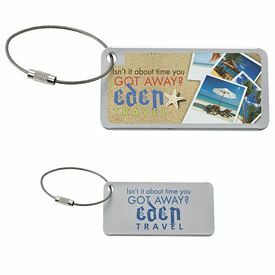 The custom Yaeger Luggage Tag is a silver finish tag that looks like a small airplane and is perfect to amuse and attract customers. 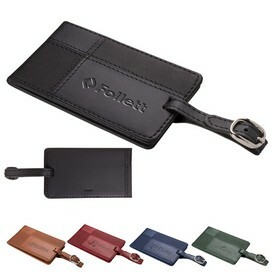 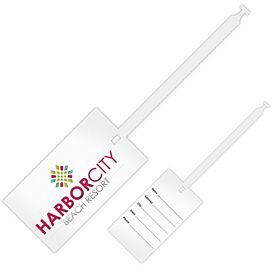 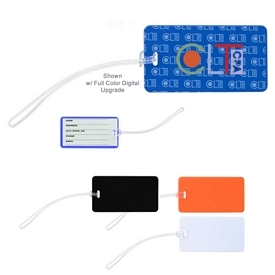 All of our logoed luggage tags are sure to please your customers and promote your company.